Host an Event that will Inspire and Transform Lives! Straight from the box office and into your faith community! Host a feature presentation of Paul, Apostle of Christ or Full of Grace in your parish or school - facilitated by a member of the ODB Films team. Film & Reflection events are designed to lead participants into deeper contemplation about the lives of these great Saints and reflect on their own journey and relationship with Christ. Simply choose the package (Silver, Gold or Platinum) that fits your faith community’s needs, send us an email, and we will get in touch with you to answer any questions you have, provide more details, and book the event! It’s a unique ministry experience that is suitable for parishioners of all ages. Available in English, Spanish or both! Eric Groth is President/CEO of ODB Films. He has served as directory of high school campus ministries at Boylan Catholic High School in Rockford, IL and coordinator of evangelization programs for Cultivation Ministries. ODB Films is an award-winning not-for-profit Catholic video production ministry. Over the past 13 years, ODB has produced 250 short films, including the 60-film Video Catechism series for teens. In January 2016, ODB released its first feature film, Full of Grace. The film received a Gabriel Award for "Best Family Feature" in June 2016. Partnering with Sony AFFIRM Films, ODB launched its first theatrical release, Paul, Apostle of Christ, on March 23, 2018. Eric has been married to his wife Becky for 28 years and has 8 children. Doug Tooke is the Director of Ministry for ODB films as well as an adjunct staff member with Life Teen International. With Bachelor of Arts degrees in both Philosophy and theology and a Masters in Pastoral Ministry, he has more than 20 years of professional ministry experience. Over the past 15 years, Doug has served more than 100 Dioceses - teaching, keynoting at conventions, and training youth ministers. His passion for Catholic teaching combined with his knowledge of story are prevalent in his ministry. A love for film has given him depth to understand story flow, character development, and recognizing conflict and themes essential to Catholic filmmaking. T.J. Berden is the VP of Development & Production for ODB Films. A native of Michigan and residing in Los Angeles, T.J. has Chicago to thank for his love of film. After graduating Loyola University Chicago, T.J. moved to Hollywood as an intern at Act One and then served as marketing and PR consultant on specialty films such as EXPELLED, THE STONING OF SORAYA M., WAITING FOR ‘SUPERMAN’ and Terrence Malick's THE TREE OF LIFE. Using his experience in film, he began to work with non-profit organizations, such as Word on Fire, Magnificat and The Cor helping them develop more dynamic approaches to marketing and branding, via events at The Christ Cathedral in the O.C., books published via Random House, as well as digital design and marketing. In 2014, T.J. was connected back to the Chicago scene, joining ODB Films to produce FULL OF GRACE as well as several of the Video Catechism films. In 2018 ODB released PAUL, APOSTLE OF CHRIST via Sony Pictures, for which T.J. was lead producer. Becky Groth is the Office Manager and Copy Editor for ODB Films. She has proven to be an engaging and thoughtful speaker. Her over twenty years of raising eight children has taught her life lessons that she creatively shares with her audiences. She is a born and bred Midwesterner living most of her life in the Chicagoland area. Becky is a copy editor, content developer, occasional script writer and magazine contributor for ODB Films. Reserve your event now! Dates are filling up fast! *We take your privacy very seriously. 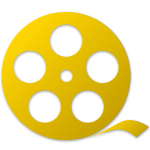 We will only use your information to provide further details about our films and our ministry. We will never sell your personal information to other companies. If you ever want to be removed from our contact list, please notify us at info@odbfilms.com.